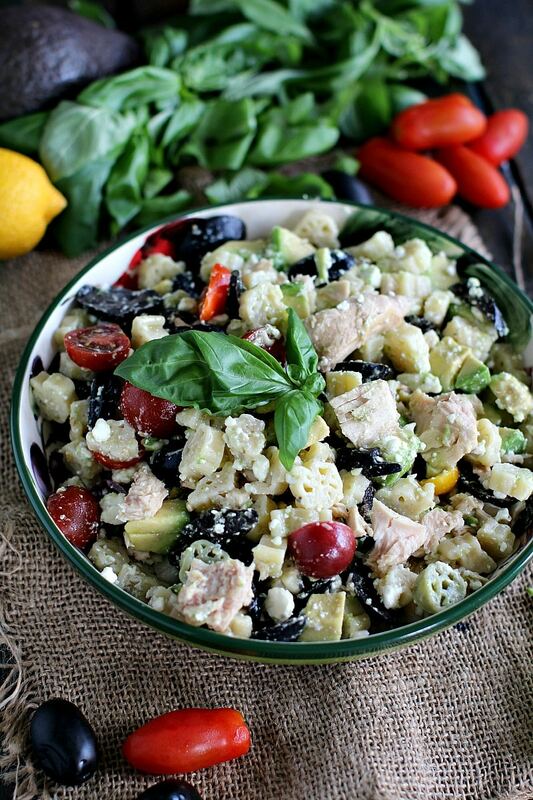 Tuna Pasta Salad is a nutritious, delicious and easy to make meal. Loaded with veggies, healthy fats and protein for a hearty meal. 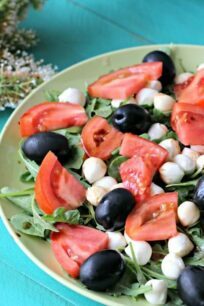 Loaded and delicious salads are common on our blog. We like making quick meals to feed the family, and what could be more appropriate than a salad. Among our popular salads are BLT Potato Salad, Loaded Baked Potato Salad and Red, White and Blue Feta Salad. 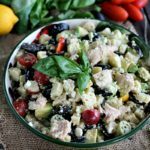 I have been testing easy recipes for quick and healthy dinners to keep as sane and this Tuna Pasta Salad is a winner. 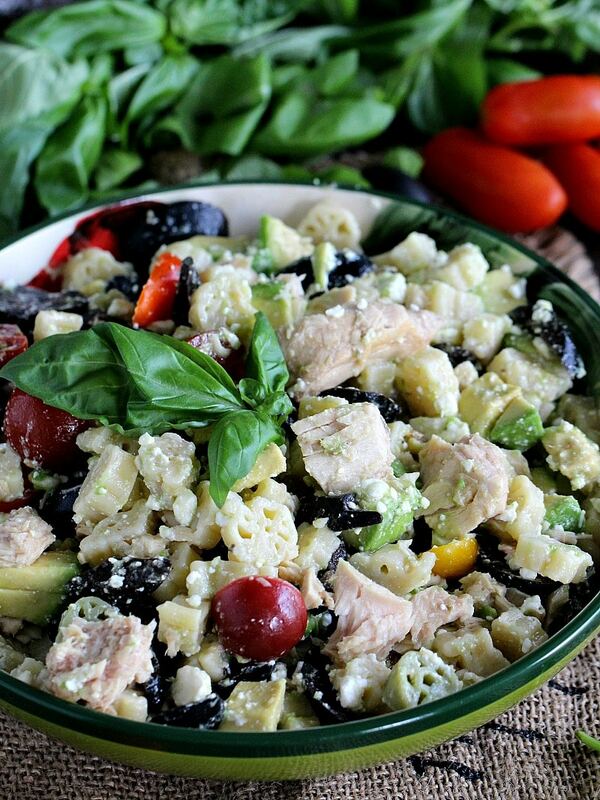 The Tuna Pasta Salad is so easy to make and it’s loaded with flavors and different textures. It’s a nice way to trick the kids into eating some veggies. The salad is also loaded with protein from tuna. This is the perfect ingredient to deliciously enhance almost any recipe. 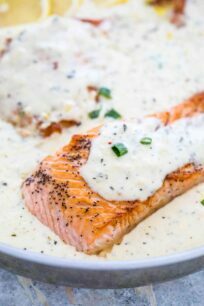 Also, it’s adding a variety of nutrients including lean protein, healthy fat and important vitamins and minerals. 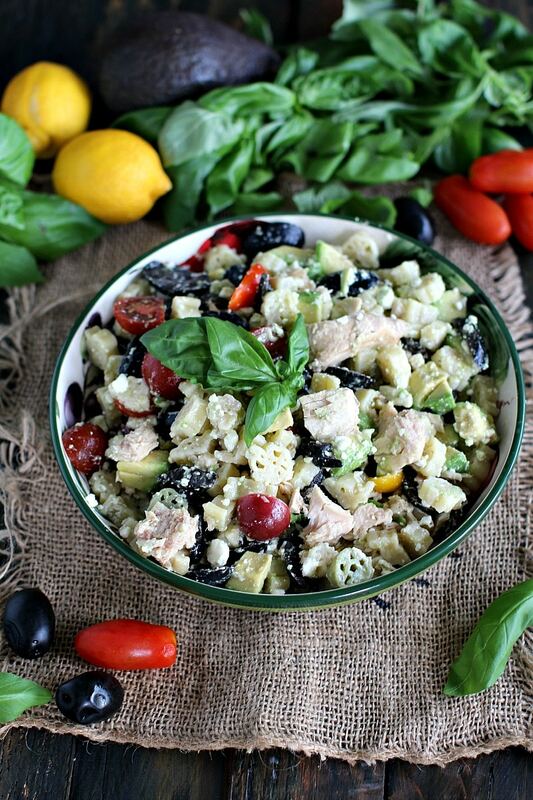 If you want a quick and healthy meal, loaded with vitamins and protein, look no further and try this Tuna Pasta Salad. 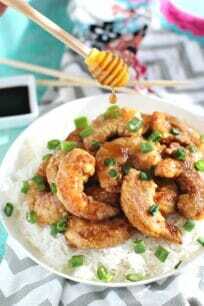 It will take you minimal time, and you can have a delicious and hearty meal. You only need to quickly boil pasta, as the rest of the ingredients require no cooking. Just cut them, and enjoy your meal! Boil the pasta one day in advance. Drain, mix in 1 tablespoon of olive oil (so it doesn’t stick) and store in a container in the fridge. Tomatoes can be sliced and kept in a container in the fridge as well. For even more protein, canned beans or chickpeas can be mixed in. Extra veggies can be added: sliced fresh cucumbers, onions, grilled or raw zucchini or grilled mushrooms. Boil pasta per box directions, drain and let it cool. In a large bowl, mix pasta with the rest of the ingredients, except tuna. Season with salt and pepper as needed. Add in drained tuna chunks and gently mix in.